the marriage of two talented artisans. Tom Pacheco is a second generation old-world craftsman with 39 years experience in the art of upholstery, custom furniture and antique restoration. His wife, Donna Pacheco, is a talented painter and artist with many years experience in the fabric specialties trade. Together, Tom and Donna create stunning residential and commercial furnishings that elevate your living and business space to the next level. We provide a wide range of upholstery and custom furniture services for both residential and commercial clients. Our services include the reupholstery of: sofas, chairs and ottomans; interiors for boats and autos; unique projects like custom wall upholstery. For organic reupholstery or customer furniture needs we using all natural products like cotton, jute, kapok, hog hair, rubber, burlap, wood and metal. 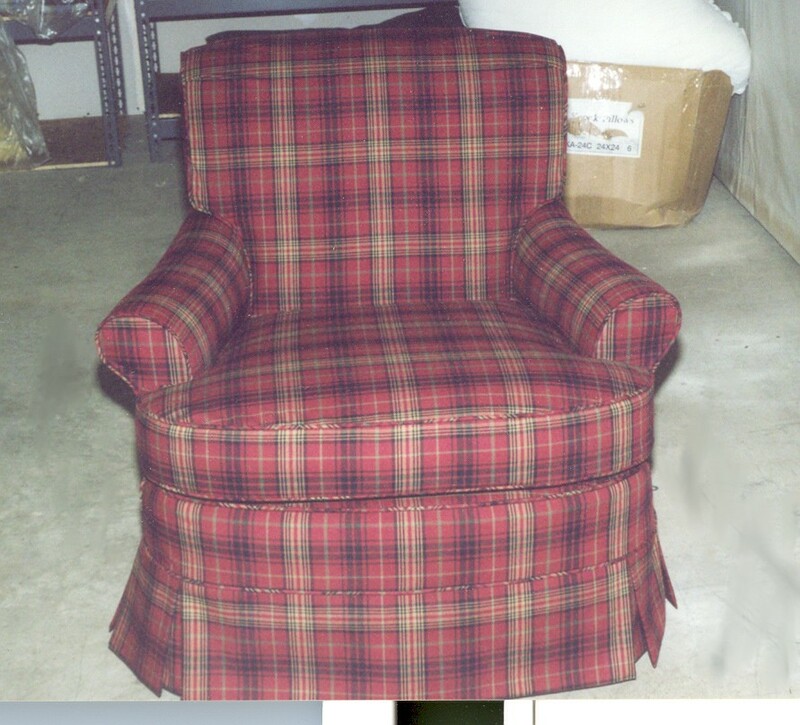 When you choose Pacheco Fabric Specialties for your reupholstery needs, what can you expect from us? To begin, we meet with you discuss what you envision for your newly reupholstered furniture piece including fabric choice, adjustments to the fill, any needed repairs to the frame and cushion options. We pay special attention to any details or artistic changes you would like, ensuring that your furniture is unique to you and will be a treasured piece you will want to come home to for generations to come. Once your furniture arrives in our shop an extensive process begins: the old fabric is removed; any organic filling is carefully removed and set aside for reuse; the interior frame is examined and any necessary repairs are made; the foundation is repaired as needed; the original organic fill is replaced and/or new fill is added; the custom fabric pieces are hand cut and sewn, then skillfully applied to the piece; cushions are fabricated and hand filled; wood finishes are freshened up. At this point your piece has been skillfully reupholstered and is ready to be delivered to your home or office. At Pacheco Fabric Specialties, the art of old-world furniture making is our specialty, one that has been passed down from father to son over a period of nearly 80 years. We pride ourselves in the fact that the old-world craftsmanship of hand tied springs and spring foundation construction is alive and well in our workshop. Your antique furniture pieces will be carefully reconstructed using time-honored methods and artisan-techniques from generations past. Please provide the dimensions of the piece. Thank you for your Estimate Request. We will contact you in the next two business days.